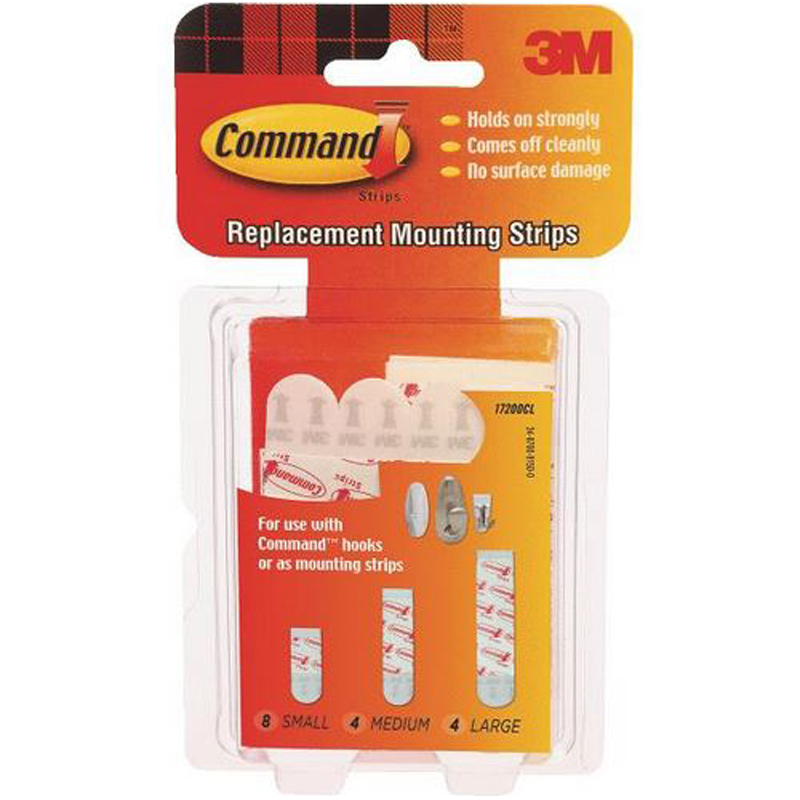 Strips with Command adhesive are for mounting items or for reusing with 3M hooks and picture hangers. 3M wall mounting products remove cleanly and may be moved and reused repeatedly. Holds on strongly. Comes off cleanly. No surface damage. 8 small, 4 medium, and 4 large strips per pack.